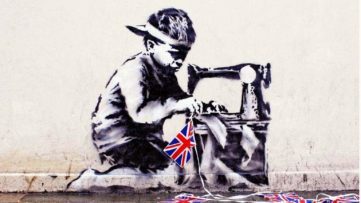 Who knows what Banksy had in mind when he first started stenciling around UK. One thing is for sure – he must not have dreamed about becoming the world’s most famous and most expensive street artists. His works are wonderfully witty and charming, while exuding harsh criticism on the society today as emblems of the most paradoxical of situations. 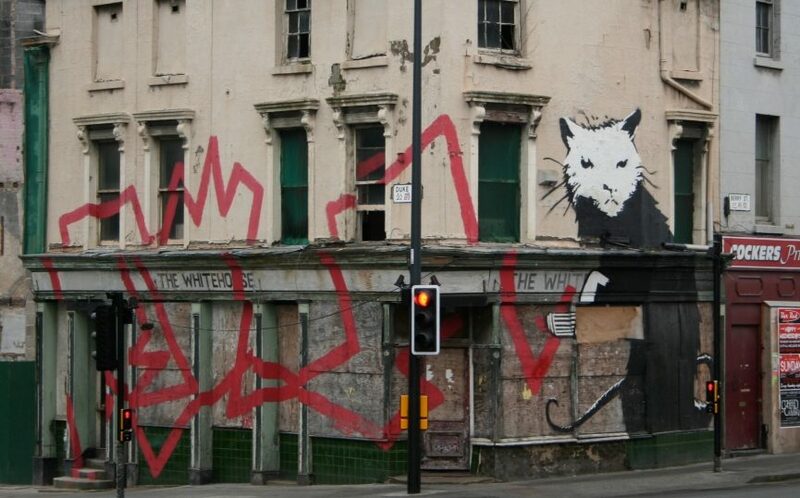 The sheer popularity of Banksy’s art led to the overwhelming desire for preservation of his street artworks, and consequently to their removal, restoration and the [ironic] surpassing of their essentially ephemeral nature. 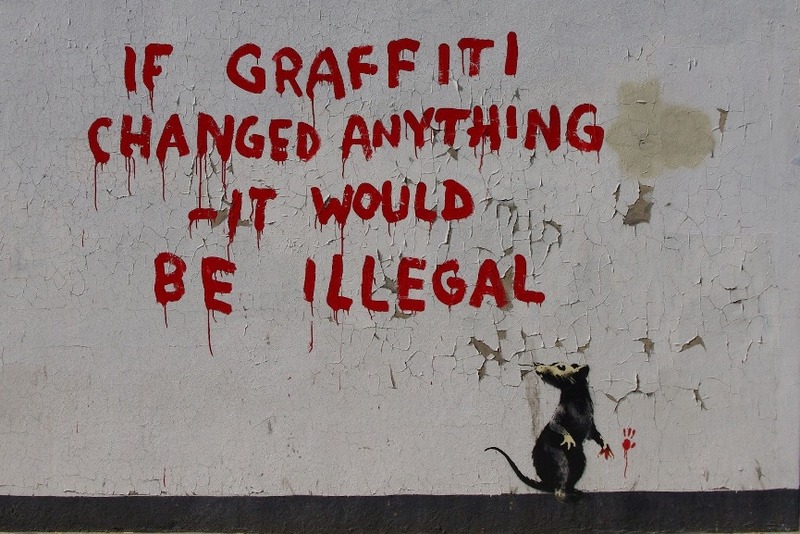 Stealing Banksy? is an exhibition of some of the most known murals executed by the Brit, representing a culmination of the controversial project raising critical issues related to the sale of street art. The exhibition is titled symbolically -Stealing Banksy? – since the wall pieces from different urban settings have indeed been cut and removed. FBI and Scotland Yard both issued statements the entire action is perfectly legal, even without the artist’s consent. Stealing Banksy? 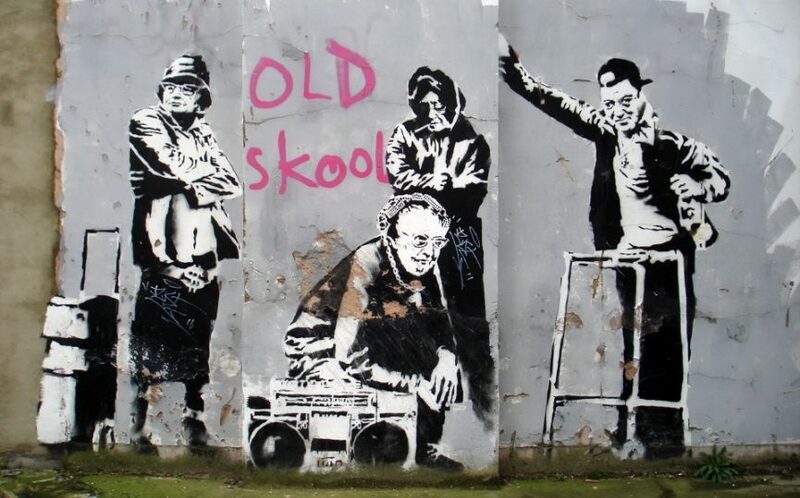 will be the crown of a year-long project in which the most celebrated works of Banksy were tracked and detached with the objective to salvage and restore them as the testimony to the history and heritage of London. 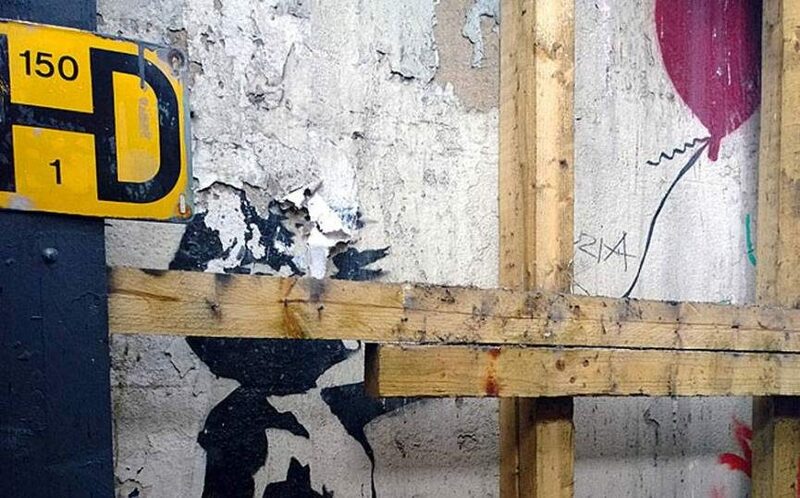 Among 20 pieces to be exhibited at the show, there will be 7 most important street works in what will be the most unique and the most expensive exhibition of Banksy in the world. 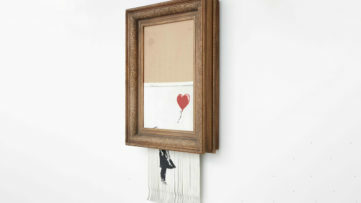 The collection is estimated at £5 million, while one of the absolute icons of Banksy’s oeuvre belonging to the collection, “No Ball Games” is appraised at the whopping £1 million. All of the works will be sold at an auction following the public display. As expected, controversy screams from the exhibition and from the project itself. 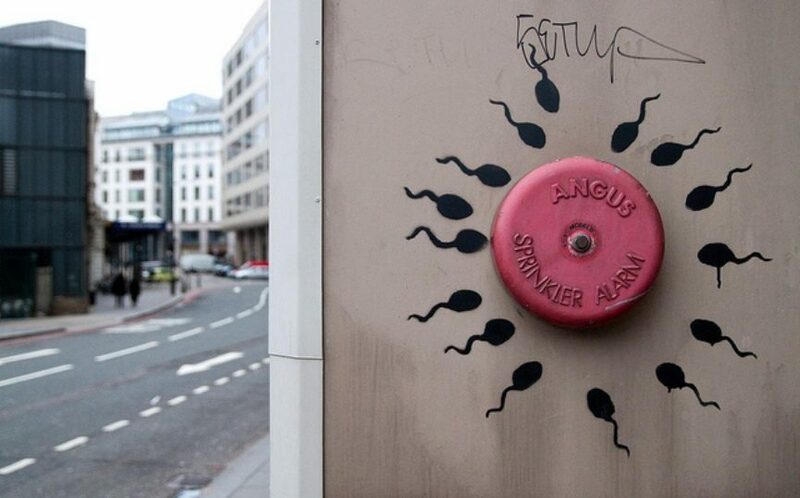 Some may claim the very aim of street art and Banksy’s work was not to become a commercial hit, but to brighten up the city and lift the spirits. If removed from its original place, its purpose and significance are logically changed and therefore – questionable, since street art only prevails within a community. It’s sad to think the consumerism won, the money won, the business won once again, but it appears so. This becomes even more obvious knowing the whole thing is being organized by the Sincura Arts Club, a branch of the UK’s “leading concierge and lifestyle company”. It may be comforting to mention the proceeds of some of the pieces (“No Ball Games” and “Liverpool Rat”) will be donated to charity, but not all. 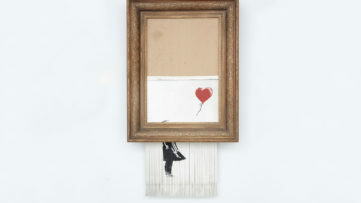 If you can’t fight them..
Art lovers are naturally allowed to disregard the Stealing [of] Banksy? and to perceive the occasion as unique opportunity to see and enjoy works of the street master again before they’re auctioned off. The tickets are selling fast, more than half is gone already. Hosted by the luxurious ME Hotel in London, the exhibit has grown into a special art event retaining little of the original humbleness of the street. Stealing Banksy? will run between April 24 and 27, 2014. 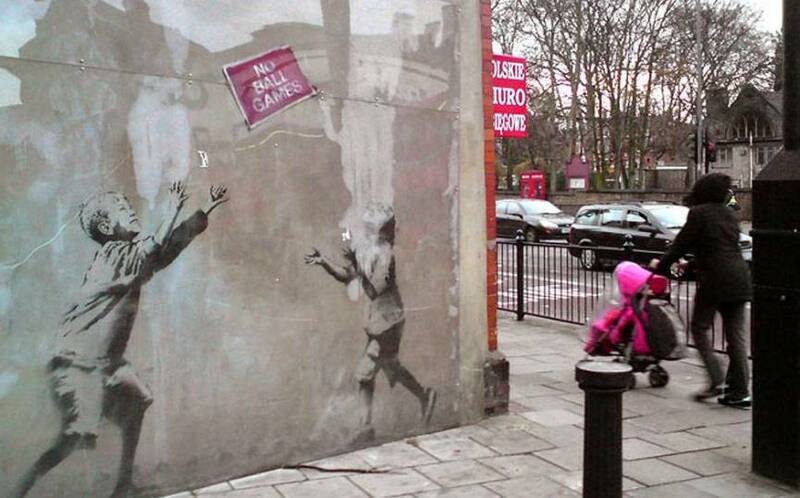 In the end, just a little reminder – Banksy does create mobile and sellable pieces in many different media. They are just as interesting and captivating as his street art. Wall was and will always remain the primary and the most appropriate canvas of this phenomenal artist, causing one question to linger in the air – is this all really necessary?